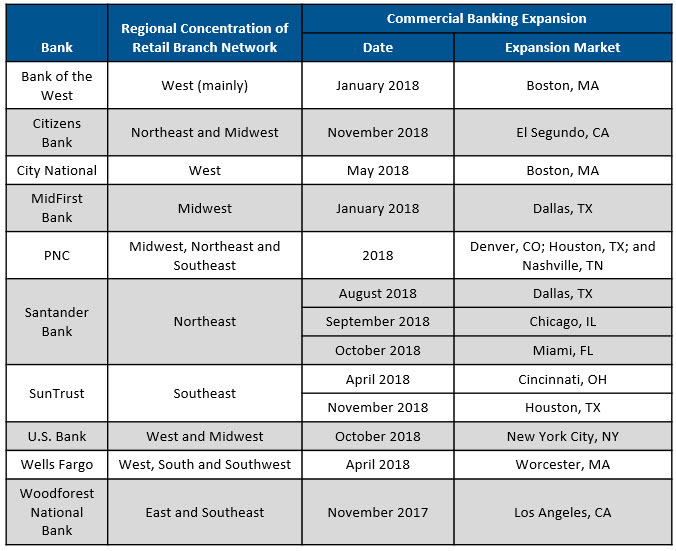 As banks continue their push for commercial loan growth, they are moving outside of their traditional retail branch footprint. This is driven by a desire to capture opportunities in specialist markets, as well as a realization that bank can establish a strong beachhead in markets even with a light physical presence. Santander Bank has opened offices in Dallas, Chicago and Miami in recent months, with each office targeting firms in the surrounding states. For example, the Chicago office aims to serve firms in nine Great Lakes and Midwest states. PNC’s 2018 opening of commercial banking offices in Denver, Houston and Nashville follow on from 2017 expansions into Dallas, Minneapolis and Kansas City. PNC plans to continue this strategy in 2019 with additional commercial banking offices in Boston and Phoenix. In addition, some banks are looking to expand an industry specialty nationwide. 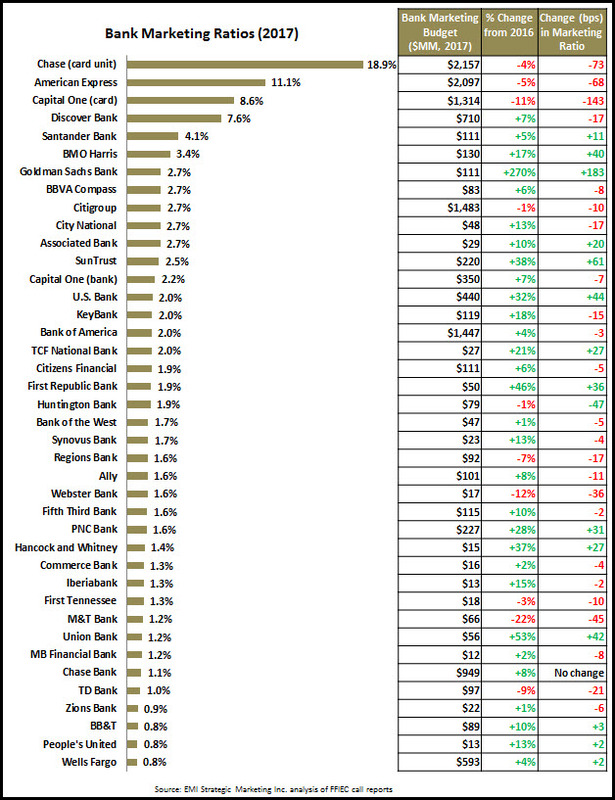 Two recent examples of this are BB&T (recreational lending for RV and marine vehicles) and SunTrust (aging services). Staffing. Recruit and deploy commercial banking teams based on their local market knowledge, ability to work in small teams and experience in building a client base in new markets. Prospecting. Develop “ideal” prospect criteria (e.g., revenue size, industry, location), then create a prospect list, profile the top prospects (key decision makers, recent activities, perceived financial challenges), and develop and implement a communications plan. Promotion. Use a range of B2B media to make up for the lack of a dense branch network. This includes participating in/sponsoring events hosted by local business advocacy groups (such as local chambers of commerce), investing judiciously in local B2B media, and developing a philanthropic presence. Technology. Develop a robust suite of online financial management tools to offset the light physical presence. Service. Seek to develop a reputation for seamless implementation and proactive customer relationship management, which can make up for the lack of a dense branch network, brand equity, and boots on the ground.